Deanne Mazzochi is a founding partner of Rakoczy Molino Mazzochi Siwik LLP. Ms. Mazzochi’s practice extends internationally, and ranges from complex litigation, due diligence and opinion counseling to regulatory proceedings and other licensing and transactional work. Her client representation primarily focuses on the intellectual property arena, with an emphasis on Hatch-Waxman patent litigation, but also includes general business and commercial litigation; litigation against FDA and EPA; trademark, trade secret and copyright claims; and antitrust litigation. 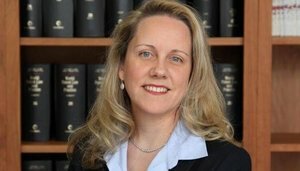 Ms. Mazzochi’s trial and appellate experience includes multiple appearances before the U.S. Court of Appeals for the Federal Circuit; various federal district courts, including the Northern District of Illinois, Eastern District of Virginia, District of Arizona, Eastern District of Pennsylvania, Southern District of New York, District of New Jersey, District of Delaware, District of Puerto Rico, Eastern District of Texas, Western District of Wisconsin, and the District of Columbia; the Illinois state courts and administrative agencies; and she further is registered to practice before the United States Patent and Trademark Office. She has represented both plaintiffs and defendants from the pre-suit investigation stage, at preliminary injunction hearings, through discovery, Markman hearings, trial, appellate and post-judgment proceedings. The majority of cases Ms. Mazzochi handles involve patent challenges involving drug products that average annual U.S. sales in the hundreds of millions, if not billions, of dollars. Ms. Mazzochi also devotes a considerable amount of her practice to counseling clients regarding long-term patent strategies, including developing and protecting intellectual property rights; analyzing the scope and coverage of patents; identifying patent design-around opportunities; and implementing effective licensing strategies both in the U.S. and internationally. The technological fields with which Ms. Mazzochi has experience encompass such diverse areas as pharmaceuticals (including biologics and small molecule active ingredients, molecular synthesis, polymorphs, drug formulations across a variety of platforms (oral, parenteral, inhalation) and methods of use); chemistry (organic, inorganic and industrial); biochemistry; cosmetics and skin care; food chemistry; genetics; nanotechnology; electronic circuits; electroplating; telecommunication devices; computer networks, platforms, standards and computer-driven transactions; medical devices and diagnostic tests, catalysts; polymers; photocopiers and printing presses; high tech composite wheels; bentonite clay products; other manufacturing equipment and processes; consumer products and those involving the Internet. Ms. Mazzochi also is well-versed in various analytical techniques used to test pharmaceutical products, including IR, Raman, NMR, HPLC, TLC, PXRD, DSC, TGA, melting point, Karl-Fischer, single crystal analysis, dissolution testing, and the like. Ms. Mazzochi also has won several judgments in patent infringement and regulatory lawsuits brought under the Hatch-Waxman Amendments to the Federal Food, Drug, and Cosmetic Act for pharmaceutical products. More recent victories at the Federal Circuit level where Ms. Mazzochi served as lead trial counsel have included securing Federal Circuit judgments affirming noninfringement (e.g. Viiv Healthcare UK Ltd. et al. v. Lupin Ltd. (abacavir/lamivudine/zidovudine); Merck Sharpe & Dohme Corp. v. Apotex Inc. et al. (mometasone)); preliminary injunction denials (e.g. Hoffmann-La Roche Inc. v. Watson Labs., Inc. (ibandronate)); summary judgment of invalidity (e.g. Hoffmann-La Roche Inc. v. Watson Labs., Inc. (ibandronate)); as well as judgments finding invalidity (e.g. Allergan, Inc. v. Apotex Inc. (bimatoprost), Senju Pharm. Co. et al. v. Lupin Ltd. et al. (gatifloxacin)). Ms. Mazzochi’s courtroom victory for Apotex Inc. before the Honorable Richard A. Posner was named a "Defense Win of the Month" in the April 2003 issue of the National Law Journal. Ms. Mazzochi also argued the appeal of this case before the Federal Circuit and obtained a final judgment of invalidity on GlaxoSmithKline's main patent for the billion-dollar drug Paxil®. Ms. Mazzochi served as lead trial and appellate counsel on behalf of Lupin, Ltd. for Lupin's challenge to an Astellas patent involving the antibiotic drug cefdinir, winning summary judgment of noninfringement in the Eastern District of Virginia, which was later affirmed with a sua sponte en banc ruling by the Federal Circuit in a case that had been listed as one of the 10 most important IP cases to watch in 2009 by Hal Wegner, the former director of the Intellectual Property Law Program at George Washington University Law School. Viiv Healthcare UK Ltd. et al. v. Lupin Ltd., No. 11-576 (D. Del. Dec. 17, 2013) (abacavir/lamivudine/zidovudine) (trial opinion finding noninfringement, permitting at-risk launch) aff'd Viiv Healthcare UK Ltd. et al. v. Lupin Ltd., No. 14-1303 (Fed. Cir. 2015) (summary affirmance of judgment of noninfringement). Ms. Mazzochi has also handled many cases that proceeded to favorable client settlements. Ms. Mazzochi has been active in various bar associations; is a member of AIPLA; and served as a member of the Judges' Intellectual Property Advisory Committee for the United States District Court for the District of Delaware.